The doctors, medical students and head nurse assemble for the morning report. Emma, the new resident, is preparing her handover to her colleagues after a busy night. The bell sounds. The morning report begins. Emma goes through the newly admitted patients and the important events of the night, including the man who died, not unexpectedly, from complications after an accident two weeks ago. In the stress of it all, Emma had forgotten how this man was admitted because of an accident – of course she should have contacted the police after his death. [The chief physician, now standing up and in an angry voice ] ”Tell me, haven’t you finished med school?”. [Emma in a submissive tone]: ”Yes, sir”. Not a word is said, no whispering, just silence and eyes looking away. The bell rings. The morning report is over. People wander out. The medical students bustle into the student’s lounge, grab their lunch packs and head out for their day in the clinic. No one walks up to Emma and asks her if she is okay. No one speaks up and points out that yelling at a colleague is not okay. Source: Colourbox, all rights reserved. Derogatory and humiliating ways of speaking to colleagues as in the case above are still witnessed in hospital wards. I witnessed this case myself when I was still a medical student (although the name and certain details have been altered for this piece). As a very recently qualified physician, I now question this behaviour and fear the day I’ll be in a similar situation as “Emma” or a witness to it. In my opinion this type of bullying and bystander behavior may be what can actually hurt us and our professionalism the most. I sometimes resign myself to thinking that I’m not as tough and thick-skinned as my colleagues and fear if I can function as a doctor if I need to be okay with colleagues snapping at me? It is from the book “When good people do evil – the taboo of brutalization”1 by Danish psychologist Dorthe Birkmose. The driving philosophy in the book is that evil deeds are done not by evil people, but by fundamentally good people by way of a process of brutalization of the mind. In it, Birkmose elaborates on this process and its risks and the book is specifically aimed at employees in the social work and health related professions who work with people in need of help. I find it worthwhile to bring Birkemose’s insights to brutalization among today’s physicians. In the following, I shall build on Emma’s example to illustrate how it occurs and why I think it is so important to recognize and discuss openly. She describes brutalization of the working environment as a 3 step process. The first step on the way to brutalization is getting the impulse to act badly. All people at times feel the urge to do bad. We get hurt, frustrated or mad at each other. In these situations, it is perfectly normal to want to react – that immediate need to do something without thinking of the consequences and with the aim to harm others as you have been harmed. Oftentimes, we do this by raising our voice, wilfully ignoring others or making accusations. Perfectly normal human feelings and actions. But how do they affect us as physicians? 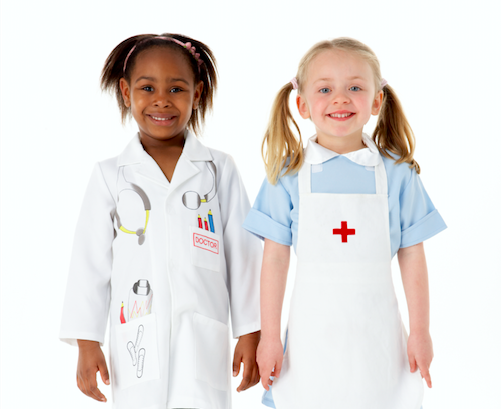 Many of us chose the job as a physician because we want to do good and help people. We and society see us as the good Samaritan personified. Not as emotional over-reactive fallen angels lashing out at people around us. 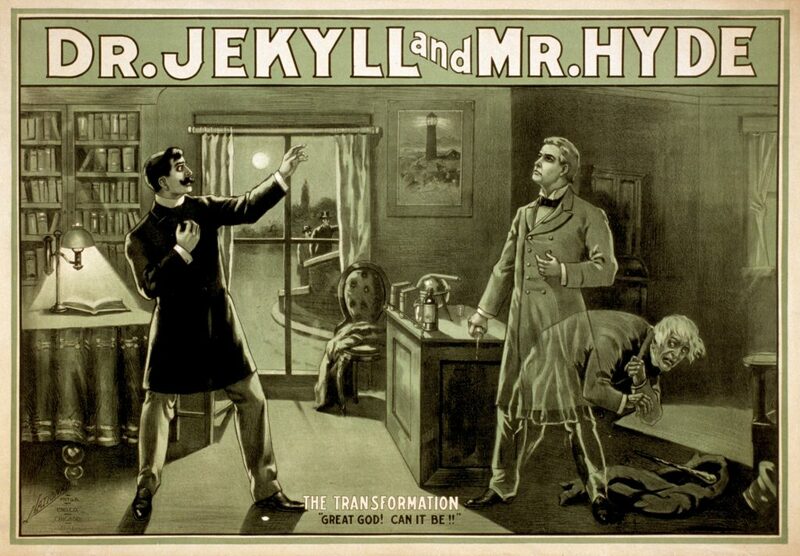 Source: https://upload.wikimedia.org/wikipedia/commons/7/78/Dr_Jekyll_and_Mr_Hyde_poster_edit2.jpg. CC BY SA license. Step two on the road to brutalization occurs if we transform that impulse into behaving badly. We fail our own ideals. Maybe we won’t notice it in the situation, but often, especially the first couple of times, we will have a bad consciousness in the aftermath. However, even if that were true the end does not always justify the means. Instead, we need to realize when we are headed down the wrong path and take the first and nearest exit. Let’s return to the situation with Emma and see how the students and your future colleagues justified the chief’s behavior and negative feedback to Emma. That same day at lunch the med students come together and the conversation turns to the situation at the morning report. Everybody agrees that it was embarrassing to witness. But then, theories are brought forward to justify what happened. Maybe it was okay to talk to her that way? She should have thought about calling the police and being told this way, she probably will never forget again. In such an important line of work you should think about everything and not make mistakes. This is the culture in the department and people need to learn it the hard way. Emma was probably used to the tone, or she will be soon – it probably only hurts the first couple of times? In my opinion the students’ justification should make us all think…. do we really want to bring our juniors with us on this journey of brutalization? Is this the culture we want to pass on? Do we just accept the bystanders and move on? Why don’t we demand and expect people to be stand up against abuse? The last step on the road to brutalization is when we no longer appreciate the difference between good and bad. When we have succumbed to bad behaviour too many times the justification process normalizes our behaviour and the bad conscience subsides. Eventually, we fail to register that we or our colleagues are behaving badly and this is the final destination of brutalization. On paper, bad and good are polar opposites, but in reality it’s not black or white. We need to pause for a moment and reflect on our actions; ask ourselves what it is we are doing. Are we deluding ourselves with stories of justification or are our actions and reflections based on professional arguments? If you have witnessed brutalization, falled a victim to it or been part of a brutalized culture – here below are my suggestions based on reflections on the topic, to help you change your ways. HOW DO WE PREVENT BRUTALIZATION? Remember that all people become angry and frustrated and that an urge to react to these feelings in a less than constructive way is perfectly normal. Also acknowledge, that while getting angry is human that doesn’t mean it’s alright to unleash your anger at others. Ethics and moral conduct should be part of the medical curriculum and we should all learn about how our actions affect others. If you find yourself or your colleague in a situation where you or others have behaved badly, you should never stay silent about it, but address it in a proper way. Sweeping rudeness and more subtle derogatory behavior is a common thing in hospital wards. It is important to support each other by talking openly about it and recognizing that everybody has a responsibility in making sure that you act as a team and fight brutalization together. 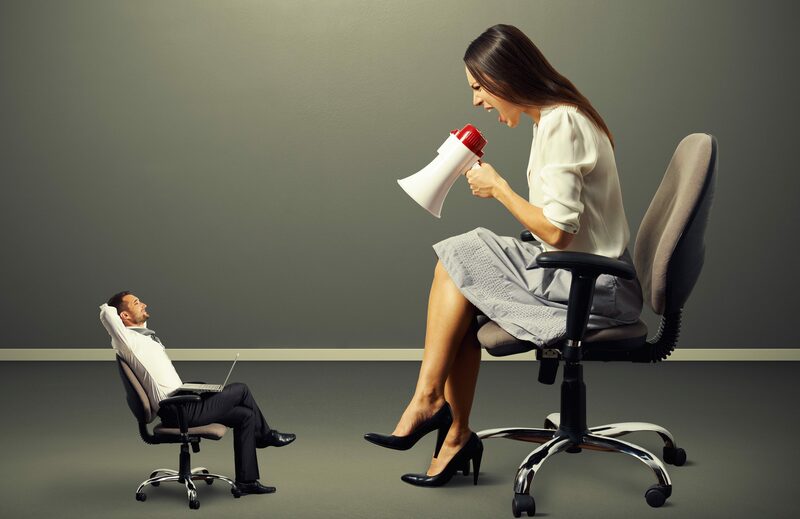 As a good leader, you should never accept a brutalized tone and behavior in your department. Make sure your staff have the right knowledge to prevent brutalization, but also tools to address each other with constructive feedback when this is necessary. In the case with Emma, it would have been helpful if the department had had a policy about how to give feedback. Feedback presents many difficult aspects, but is an essential tool when you’re in education. I highly recommend a publication2 from 2015 by Lefroy et al where they describes the do’s, don’ts and don’t knows of feedback for clinical education. Another great resource on feedback is this St.Emlyns post with notes from feedback session at the teaching course in NYC 2015. It has been known for several years that negative terminology about others can diminish empathy and make bad actions easier to perform3. Giving each other nicknames can make it easier to create a distance. At one department I heard the nurses referred to as “coffee sippers” which seems to suggest they don’t really work as hard as others. And in Denmark I often hear young doctors being instructed to “call a grown-up if they need help with a patient”. This automatically puts young doctors in a role where they are not grown-ups, but something else – children presumably? Language matters. Stick to the facts and academic argumentation. My younger colleagues often argue that this is just how things work in their departments and that we should accept and adapt. I asked a young colleague if she could bring me some examples from her clinical work. The examples were extensive, but she didn’t think of it as a problem. She told me: “Don’t worry, Camilla, you will soon get used to it….” And that, actually, is the part that worries me: How long will it take before I cannot tell the difference between good and bad and begin to perform bad actions myself? As junior doctors we need to remember that we have a very important task in calling attention to this problem when we experience it. As new members in a department we may be the only ones left to see that brutalization has settled in the ward. To speak up is hard and takes a lot of courage. We like to be part of the group and be accepted. But we need to remember not to obey, but to be loyal to what we think is right and wrong. 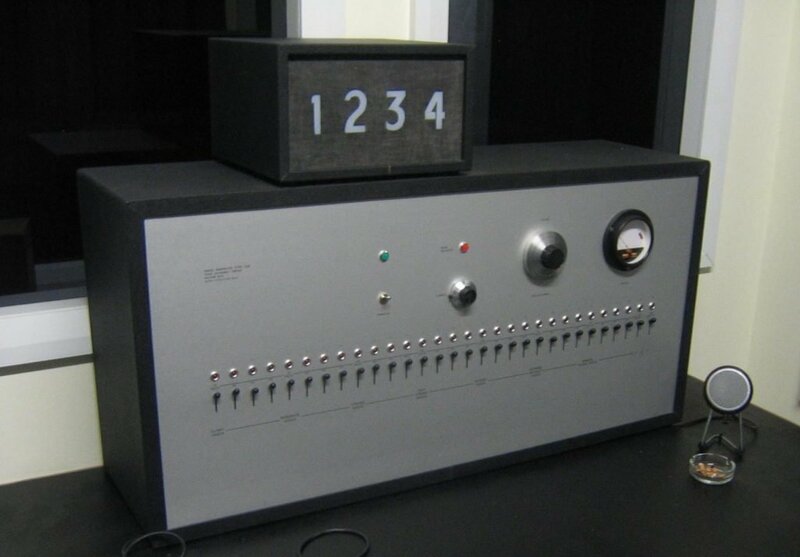 Stanley Milgram’s experiments on obedience to authorities, described in his book4 from 1974, showed that a majority of people are willing to obey authorities’ instructions even though they ask us to carry out an immoral action. Often we obey out of fear or the desire to appear cooperative even though it’s against our own beliefs in what’s right. The case of Emma was real, but when I talk about it it often results in huge arguments with my colleagues. I’m often asked how I know that Emma did not prefer being corrected this way? Maybe some of us actually prefer being yelled at! It’s obviously individual how we prefer to be corrected. 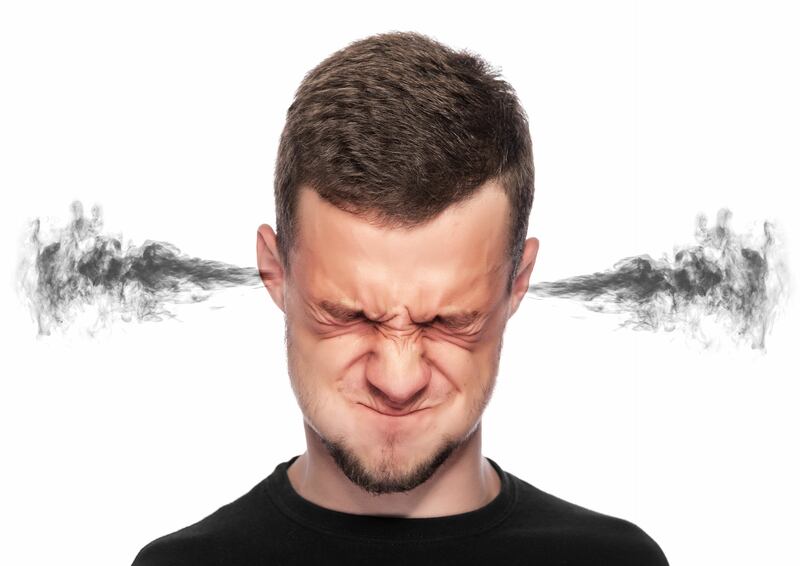 Some might argue they learn best when someone yells at them or when the tone is harsh. Those of you with a sports interest will know that many talented coaches around the world have yelling as one of their core competencies. But that does not necessarily mean that this is the best way to learn and it definitely doesn’t mean that you, as a colleague or an educator, can assume that other people are okay with you yelling at them. Even more importantly, we cannot allow humiliations and degradation to be tolerated in any educational strategy. How large a problem is this? Currently, unfortunately, there’s evidence to suggest this is a very manifest problem! A Finnish study from 2005 found that mistreatment of university students was most common during medical studies (compared to the faculties of Humanities, Education, and Science and Technology)5. The occurrence of contempt, humiliation, negative or disparaging remarks from staff was the sort of mistreatment most commonly reported. In the Cook et al study from 2014 they concluded that recurrent mistreatment compared with infrequent or no mistreatment was significantly associated with high burnout6. In a time where burnout is on the agenda, we should maybe think more about the kind of work environment we create or hold on to. I agree entirely with Scott Weingarts point of view in this podcast from Academic Life in Emergency Medicine, where he tells us that he believes rudeness and non-collegial communication is the biggest threat to wellness. A study from Pan et al analyzing the work environment of junior doctors found that 27% (146/530) had experienced workplace bullying which was found to be one of the variables most strongly associated with distress7. The same study reported that 15,7% (85/540) would not study medicine if they had the opportunity to choose again. As Iain Beardsell from St.Emlyns described in JC: The Impact of Rudeness on Medical Team Performance, an Israeli study found that subjection to rudeness from an expert observer had adverse consequences on the diagnostic and procedural performance of NICU team members8. As a team we need to remember that even if it is only a minority of doctors acting badly, we must take action when we witness these episodes. Otherwise, we risk that brutalization becomes the new contagious disease in our departments. 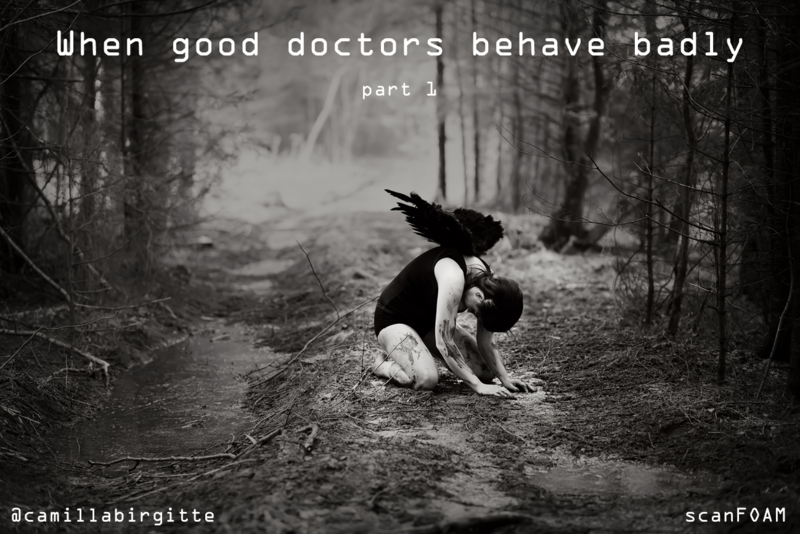 With the understanding that repeated doses of dehumanising social situations can transform ordinarily good doctors into doctors behaving badly, we must stand together and prevent them from going unchallenged. And if our colleagues have fallen, we need to help them rise again. As my very last comment, I would like to remind you that brutalization not only occurs between staff members. There will always be a risk of acting brutalized and even evil against our patients and their relatives. The medical history books very clearly remind us of this fact! Stay tuned as we will soon bring a second post on the thought-provoking decisions made by the generations of physicians before us and what we worry about when it comes to the generation currently in practice. The dark side of doctoring. A must read blog post by Eric Levi reacting to yet another recent doctor suicide with thoughts on the destructive pressures of working in health care. The comment section clearly shows how this resonates with health care providers globally and is a heart breaking read. Since that, he’s posted two follow up posts: The dark side awakens and Restoring hope and humanity to health care. Birkmose D. Når gode mennesker handler ondt – tabuet om forråelse, 1st edn. Syddansk Universitetsforlag, 2013. Kuschel R, Zand F. Ondskabens psykologi – socialpsykologiske essays, 1st edn. Frydenlund, 2004. Milgram S. Obedience to Authority. Harper Collins, 2009. MD, Tourette's disease researcher, wee enthusiast.